A customer messaged me last week and asked me a question regarding number presentation to Skype for Business when users still on their legacy PBX system placed a call to a Skype for Business endpoint. 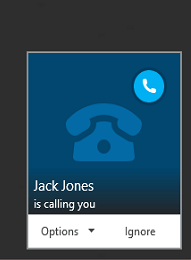 The customer explained to me that when a Skype for Business user called an extension on their legacy PBX system, the caller display name showed the name of the caller. 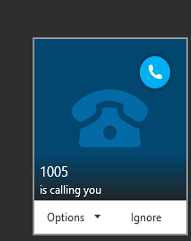 However, when a legacy PBX user called a Skype for Business endpoint, the caller display showed the extension number rather than the name of the caller, therefore not allowing the Skype for Business user to easily identify the caller. 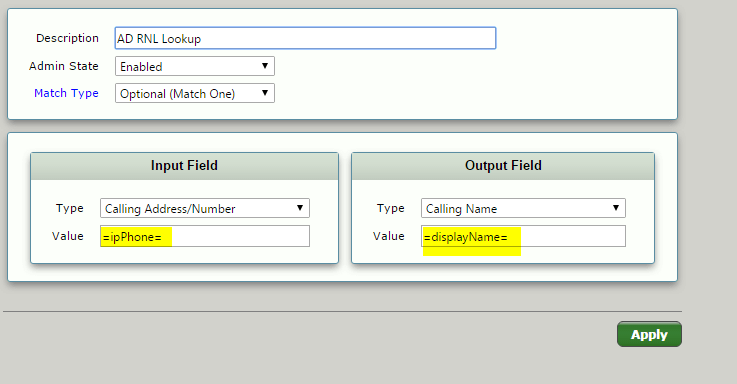 Using SIP standards, the legacy PBX automatically interprets this and is able to display the name of the caller to the handset. The short answer is no, this is not natively possible with just Skype for Business. But perhaps certain supporting infrastructure and environment conditions could help to solve this. I was aware that they had a Sonus SBC 1000 between the legacy PBX system and Skype for Business, but this was downstream of the PSTN. I wondered if potentially we could use the power of the Sonus SBC to perform some modifications to the FROM header within the messages sent between the legacy PBX and Skype for Business and inject the caller’s name somehow. I was aware that the customer has an up to date Active Directory where user objects where updated with the ipPhone attribute. This matched their legacy PBX extension. 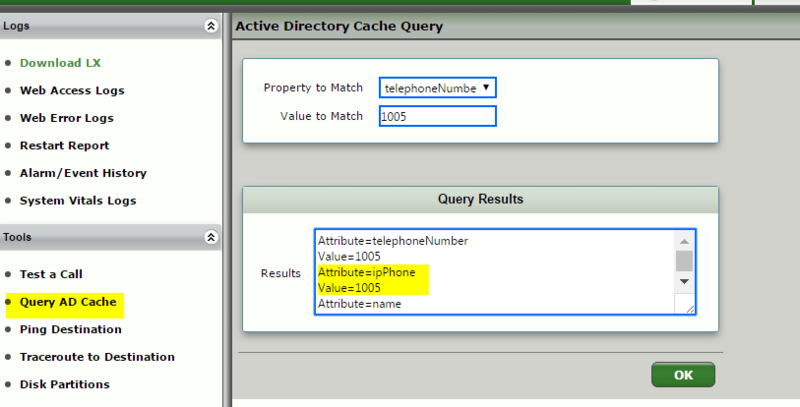 I wondered if we could use Sonus’s Active Directory Cache to act as the lookup directory for calling names based on the calling number and then inject the name of the caller so that Skype for Business can present the name of the caller to the user for easy identification. The following steps assumes that the SBC already has the Active Directory Cache configured. Hi Mark, it’s important to remember to use “==” to force a new AD lookup on the same Transformation Rule. This is very useful if there is an AD lookup line above, for example to lookup Called Address Number, and you need to search also the Calling Address Number.